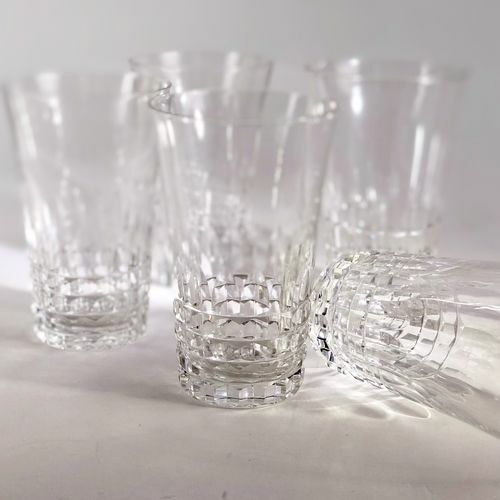 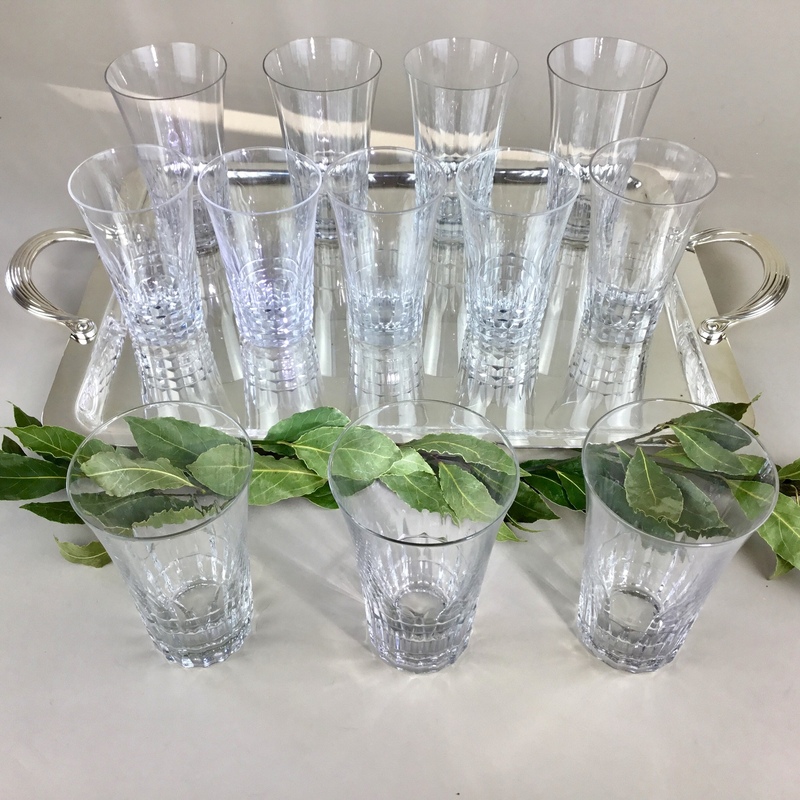 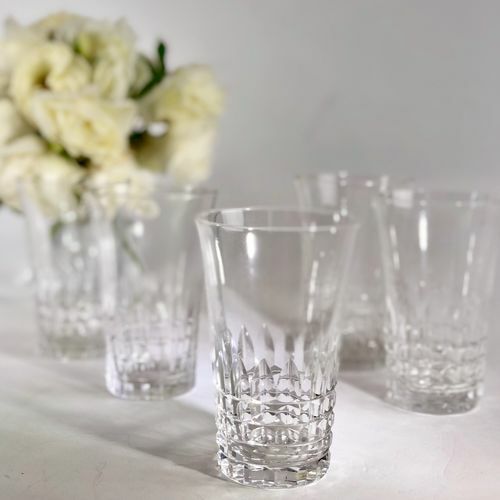 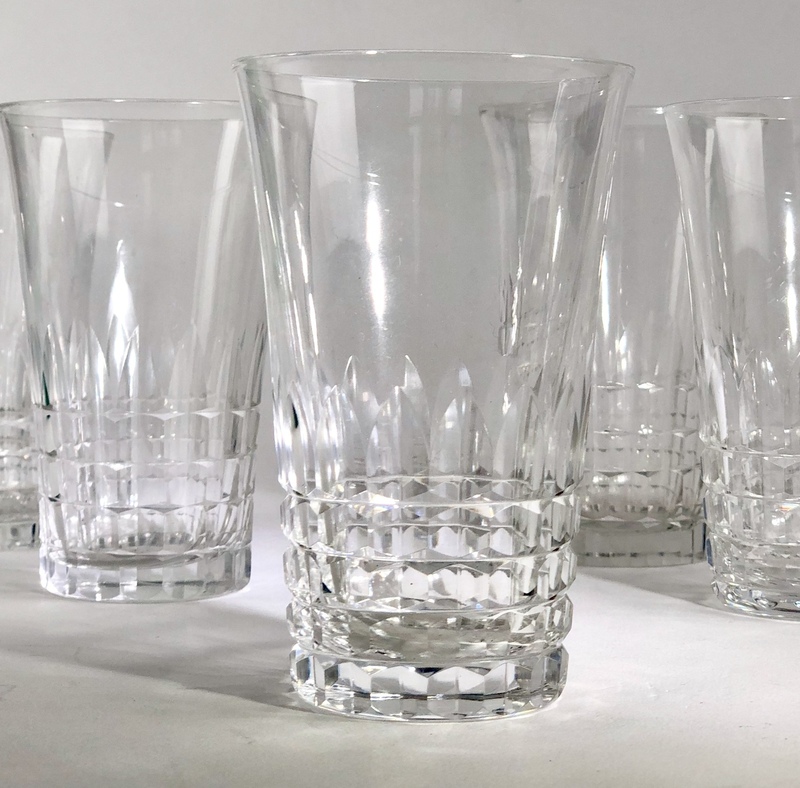 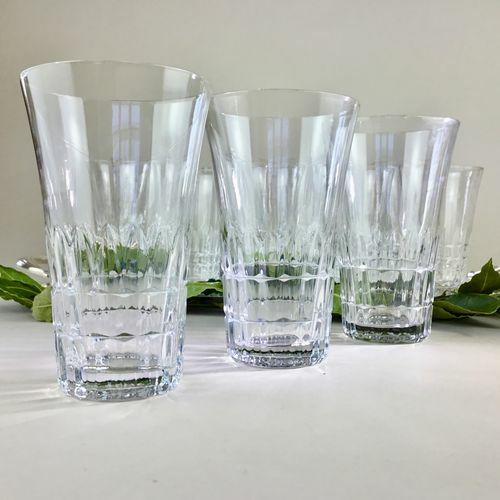 A sensational set of 5 Mid 20th Century magnificent crystal tumblers by Val St Lambert. 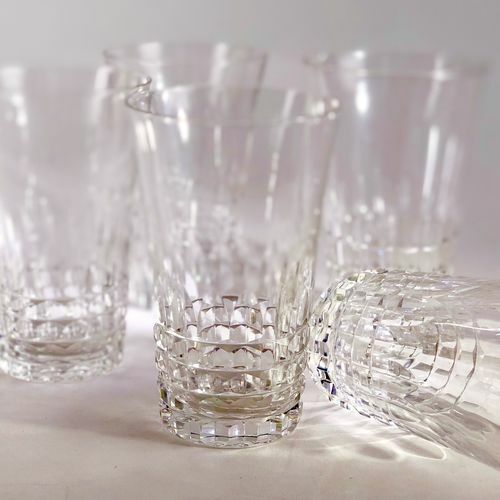 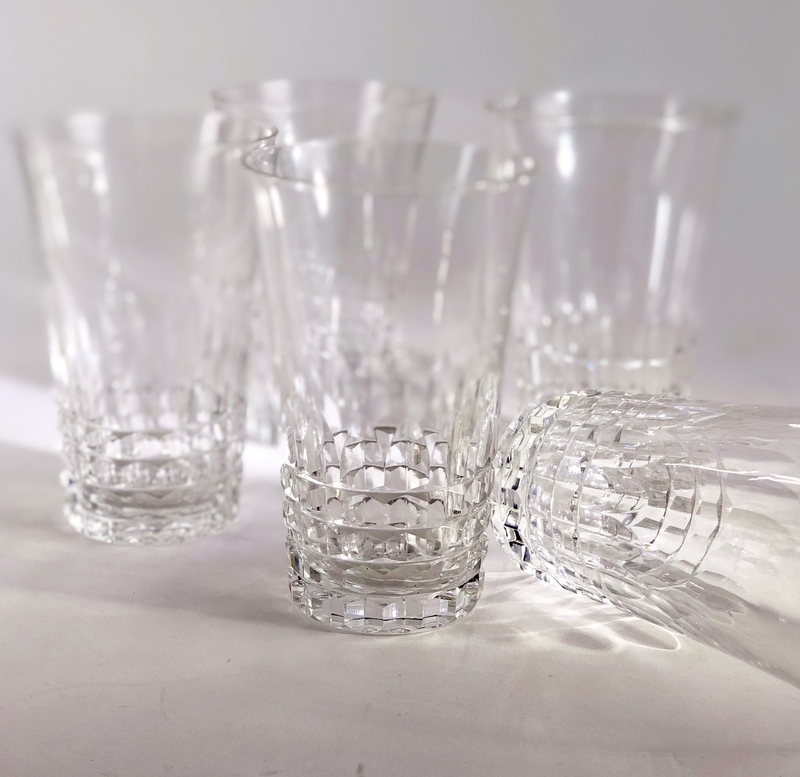 These tall quality crystal tumblers are of excellent, heavy lead crystal quality and, due to the soft fluted shape, feel fine in the hand. This pattern Esneux was only produced between 1950-1962.